As a homeowner, you might have questions about how certain things work in your house. There are questions about maintenance and common care concerns. How do I keep my tile floors clean? When is it time to get the patio pressure cleaned? Should I replace the refrigerator? All of these are concerns that come up often in homes. But, one of the concerns homeowners should have is something pretty serious: AC ducts. Say what? You read correctly! When’s the last time you had a home air duct cleaning? Some people may not even think about having this procedure done. But, it’s important to make sure that the AC ducts stay clean. We’ll talk about why that is as we answer some frequently asked questions regarding home air duct cleaning. What do you say we dive right into tho these questions? Let’s take a look at some of the things you might be wondering about when it comes to home air duct cleaning. Question #1: What in the world are air ducts? Question #2: Why do the AC ducts need to be cleaned? This is a bit of a loaded question. But, to give a simple answer, the air ducts in your home need to be cleaned for a couple of different reasons. For one, regular home air duct cleaning can lower the risk of mold growth. When it comes to the AC, there’s a mixture of air, humidity, and so forth. So, you may have some moisture buildup. When this happens, mold takes it as an open invitation to chill in your AC ducts. But, having these passageways cleaned can help to stop mold from making a home there. Also, it’s important to have them cleaned because dust and other air contaminants can accumulate within the ducts. So, cleaning them can help to improve the airflow and quality. Question #3: How often should I get my AC ducts cleaned? Of course, if you have seen any signs of mold growth or some other issues with the air conditioning, you might want to look into getting the ducts cleaned. But, in general, it’s good to get a home air duct cleaning done every 3 to 5 years. Still, you need to check them more frequently than that to make sure everything is running properly. Question #4: How long does the cleaning process take? Well, that depends on the company who cleans your air ducts. It also depends on the situation of your home AC ducts. But, here at A Plus Mold Remediation Inc., we generally get the job done in just 2 or 3 hours! Not bad, huh? Question #5: How do I get the crew at A Plus Mold Remediation Inc. to help me out? That’s the easiest part! Our team at A Plus Mold Remediation Inc. is just a phone call away. You can contact us by calling (561) 247-3506 or you can request a free consultation on our website. 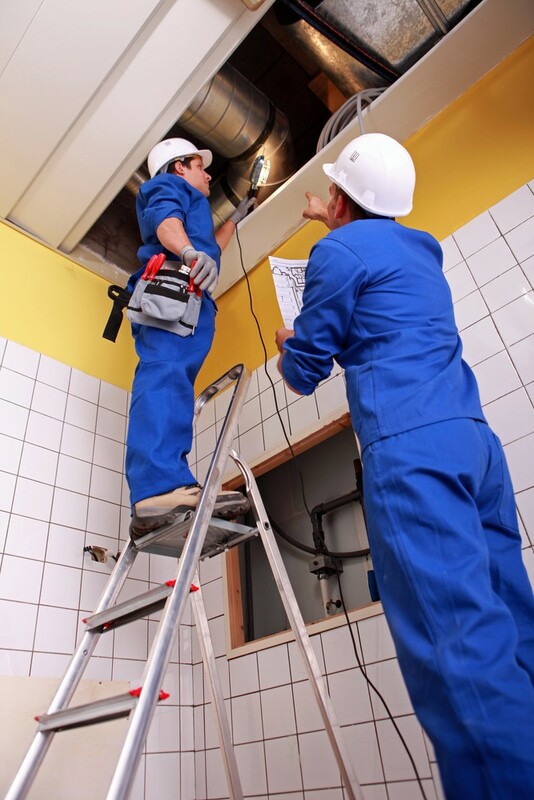 Our team is dedicated to providing you with the best home air duct cleaning and mold remediation services possible. We value your time and work thoroughly to make sure we don’t waste it. So, if you need help clearing your home of the dangers mold and other contaminants can cause, we’d be glad to assist you. Contact us today! © 2017 A Plus Mold Remediation Inc. All Rights Reserved.